We offer professional grade security camera systems and installation dealers nationwide. Call us today for a free consultation or request a quote online. We have successfully implemented many security camera projects for healthcare, government, commercial, and retail customers as well in home security solutions. These video surveillance packages include everything you need to properly monitor your business, family and possessions. Our line of wireless products includes indoor and outdoor handheld systems and child safety monitors. 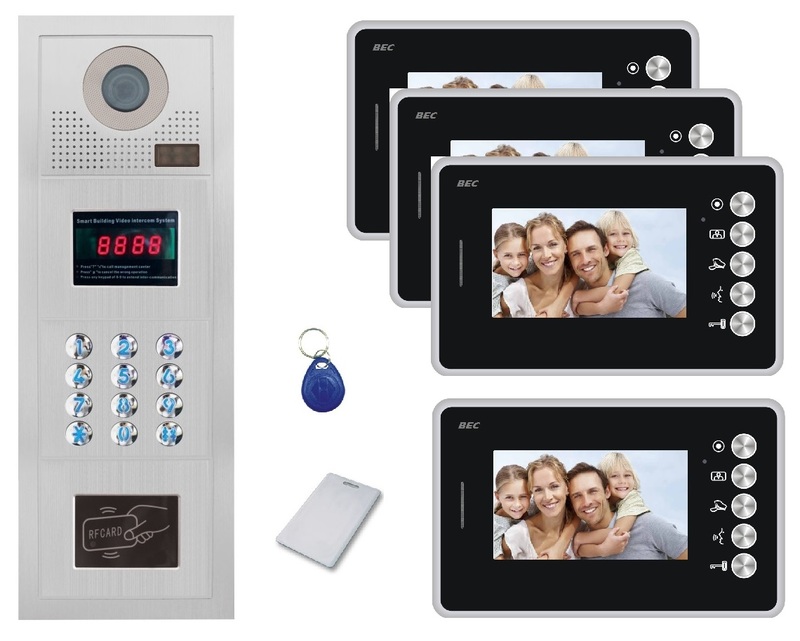 BEC's video intercoms offer safety and convenience with 2-way communication and remote door unlocking abilities and we have a camera for every need—night viewing, deterrence and online communication.